Click here to return to our facility tour. A-1 Scuba’s pool has an “endless pool” where you swim or exercise against a smooth current that’s fully adjustable to any speed or ability. It also has an underwater sound system. 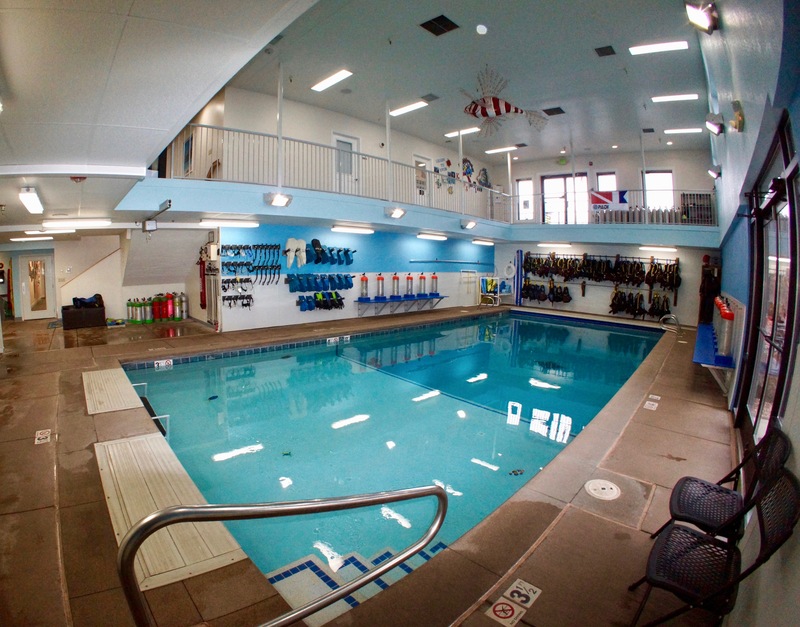 You can enjoy music from your own ipod right in the water during your scuba or swim lesson! We have a lift for disabled divers and our fill station is right by the pool. The pool is 12′ deep on the far end with beautiful porcelain sea creatures along the bottom. Our pool is toasty warm in the winter! Classes are held at our location in our classroom and in our indoor headed pool, not in a cold high school, college or community center pool. You will enjoy the comfortable environment of our pool room.